On Wednesday, September 28, 2016, Nazarene Theological Seminary hosted an Economic Summit, which was also sponsored by Pensions & Benefits USA and the USA/Canada Region. The theme, “Funding Clergy and the Church in the New Millennium,” featured a panel discussion and other presentations (which are below). When Antioch First Church of the Nazarene struggled to cope with an aging building and other challenges, they found a creative solution that has revitalized their congregation. Nazarene pastors, scholars, and students from across the United States and Canada gathered in Kansas City, Missouri, at Nazarene Theological Seminary for a three-day USA/Canada Theology Conference. The conference’s theme was “The Pilgrim People of God Living in Exile.” Full conference papers are available at http://didache.nazarene.org. 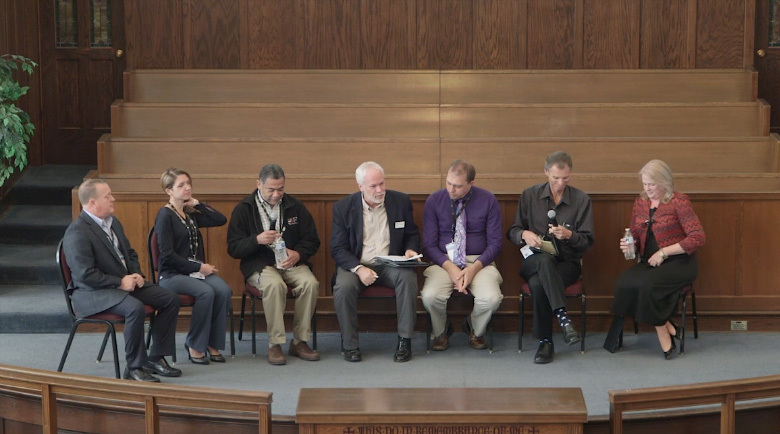 The conference was sponsored by Nazarene Theological Seminary, Global Clergy Development, and the USA/Canada Region. Sermon that opened the theology conference by Scott Daniels, senior pastor, Nampa College Church of the Nazarene.